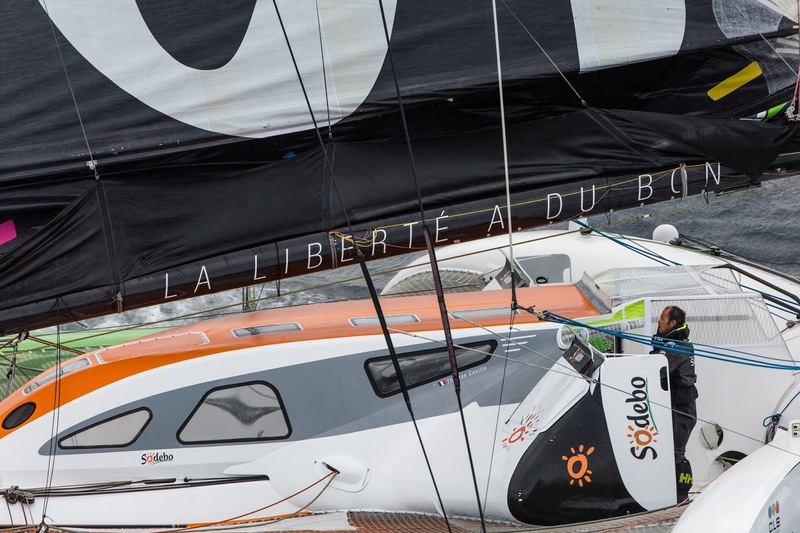 Sodebo Ultim’ is expected to cross the finish line under sail aboard his multihull early evening tomorrow Sunday 25 December. Since last night, his lead of over 7 days in relation to the current record time has been continuing to increase. 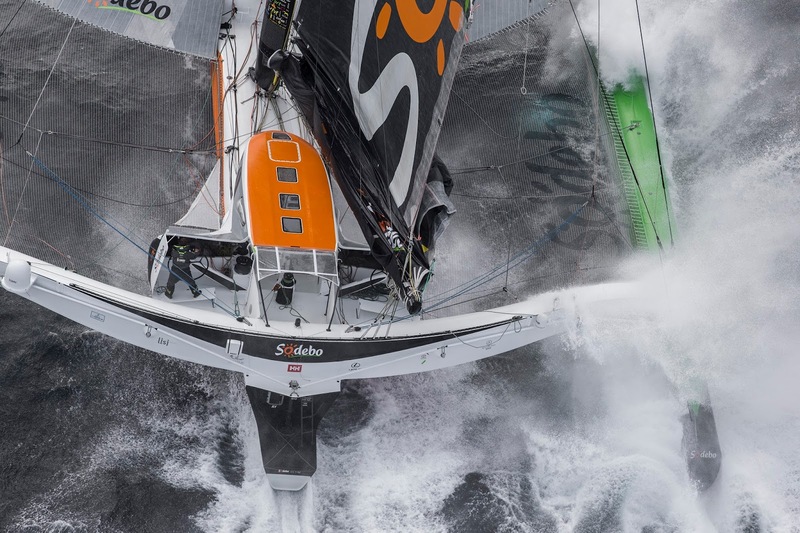 Having set sail 48 days ago, Thomas Coville is set to pass below the historic 50-day barrier. 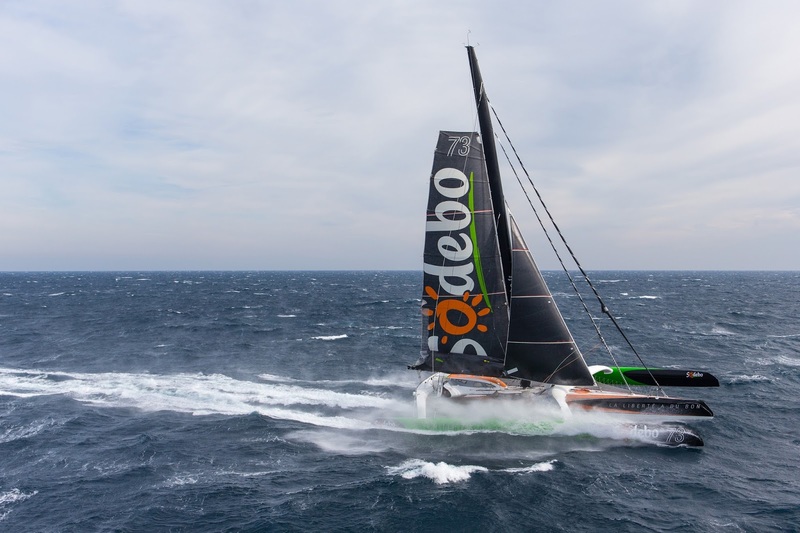 The skipper of Sodebo Ultim’ is powering along at high speed and on a direct course towards the finish line, which lies to the North of the island of Ushant situated some 700 miles (1,296 kilometres) ahead. Yesterday morning, Thomas Coville hit the winds from the low pressure system that he’d been hunting down to the North of the Azores and for the past two days he’s been racking up what are astounding average speeds for a solo sailor. In so doing, he’s been continuing to increase his lead over the official record time, which stands at 57 days and 13 hours. These strong winds have been propelling him along on a direct course bound for Ushant, which he’s set to reach on Christmas night with a truly unimaginable singlehanded race against the clock. Today, a time of under 50 days is a very distinct possibility. To secure a sub-50-day time, he must cross the finish line before Monday 26 December at 13:49 GMT. Some dizzying average speeds over the past 24 hours confirm, if need be, the true extent of the sailor’s concentration and the exceptional potential of this boat. On a downwind point of sail and on flat seas, as is currently the case, the instrument panel on Sodebo Ultim’ is displaying distances in excess of 650 miles (1,200 kilometres) over the past 24 hours. Since setting sail 7 weeks ago, the skipper of Sodebo Ultim’ has already covered over 50,000 kilometres and only has a little over 1,300 kilometres to go before crossing the finish off Ushant. It’s a finish that is synonymous with deliverance for the singlehanded sailor, who has been chasing down this record for nearly 10 years. Exhausted, completely worn out even after these past 48 hours alone manoeuvring his gigantic trimaran, Thomas Coville is continuing to focus hard on his sailing. Though he’s still making very fast headway, Thomas will also try to rest up a little today so he can negotiate his finish off Ushant tomorrow as best he can. Indeed, as he closes on the coast and Brest in particular, the maritime shipping will inevitably increase. Following the passage of the line, Thomas Coville will spend the whole night at sea with his team, who will join him aboard, an essential phase of decompression after 7 testing weeks alone at sea. Sodebo Ultim’ will head to the entrance of the Brest narrows on Monday morning for an arrival alongside the pontoon on Quai Malbert in the early morning (timetable to be specified).